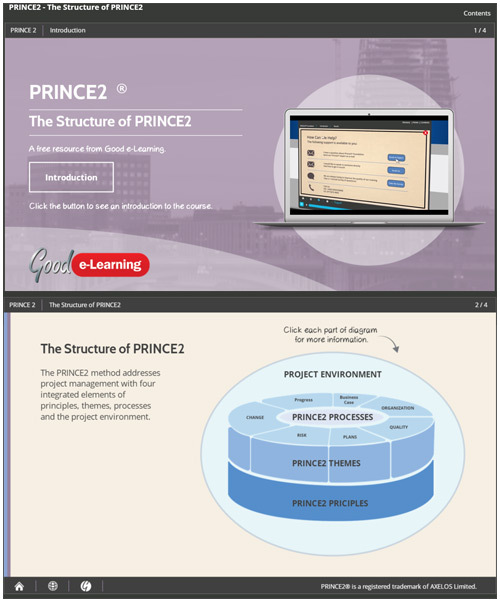 In this PRINCE2 interactive guide we take a look at the high level structure of PRINCE2. The PRINCE2 method addresses project management with four integrated elements of principles, themes, processes and the project environment. By studying this interactive guide you will get the opportunity to test your knowledge and find out if you remember what the seven principles, seven themes and seven processes of PRINCE2 are. Download this PRINCE2 learning resource today and you’ll also get instant access to over 500 free business & IT learning resources!